If you would like to send us an image of a finished product, we would love to share it with others! so naturally her daughter's dogs needed to keep warm too! 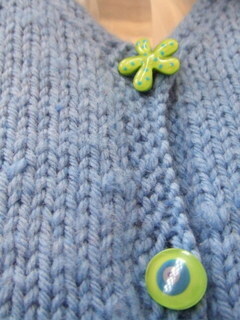 Dianne used our new resin buttons to make this vest really stand out! 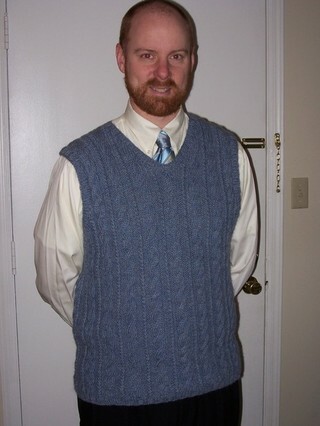 We love this cabled vest Adrienne knit for her husband! 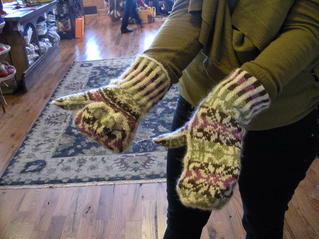 Jane made these fabulous fair isle gloves! 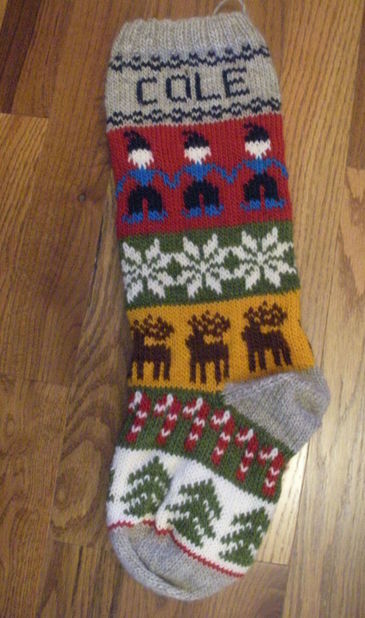 We fell in love with Sue's stocking she knit and ordered more stocking books! 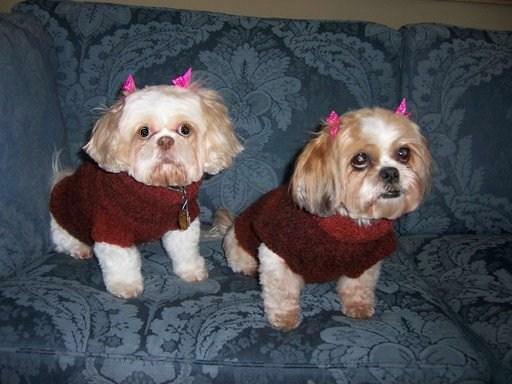 Karen knit a coat for each daughter for Christmas this year! 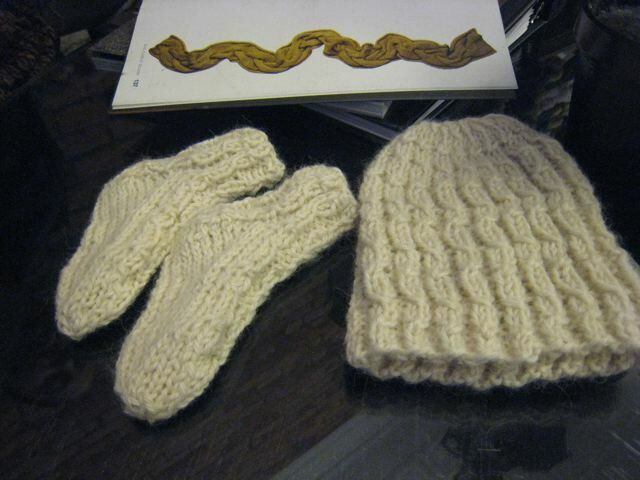 One in Big Wool, and one in Chunky Alpaca. Thanks Stacy for sharing this amazing project with us! 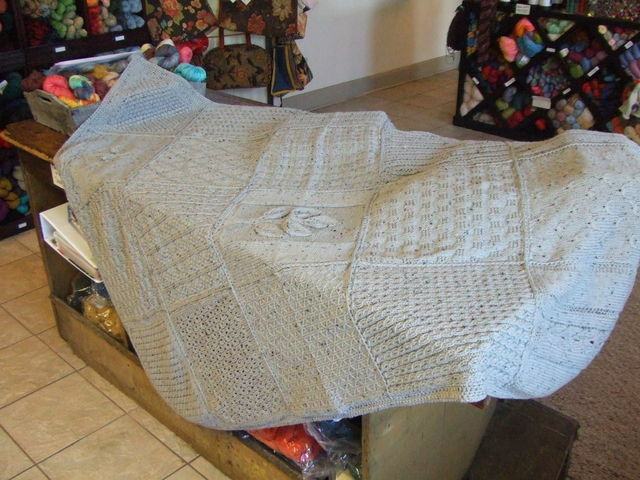 Patti is the first to finish her afghan from Donna's class. Cascade 220 is a great basic yarn! 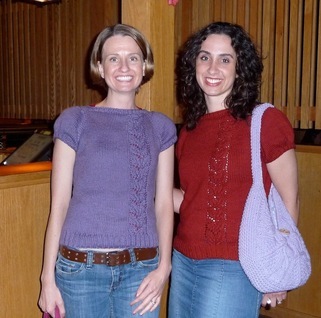 Joy and Adrienne in their matching Blue Sky Dyed Cotton tops! Note: it was by chance that they both decided to wear matching tops this night. 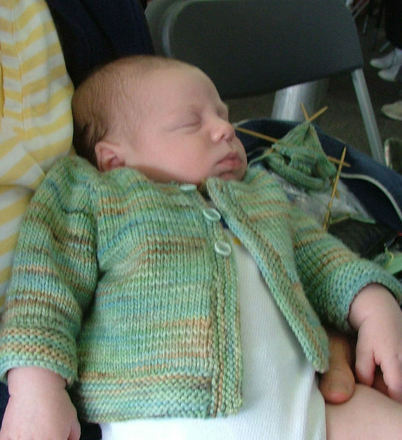 Thanks Phyllis for sharing this adorable picture of Joseph in his cute Koigu Kertsi jacket! 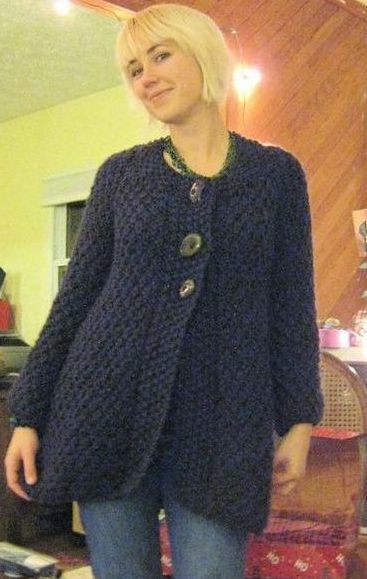 Becky made this cute Whisper Cardigan out of Mountain Color's Lace with plenty of time to enjoy it over the summer! 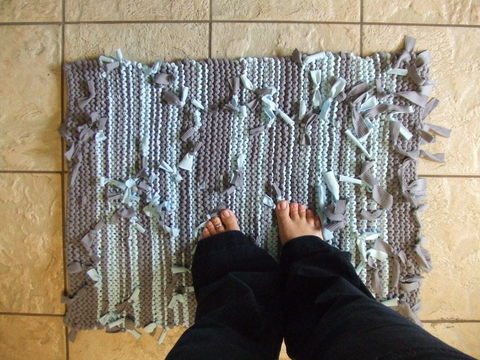 Linda completed this rag rug from a summer class. 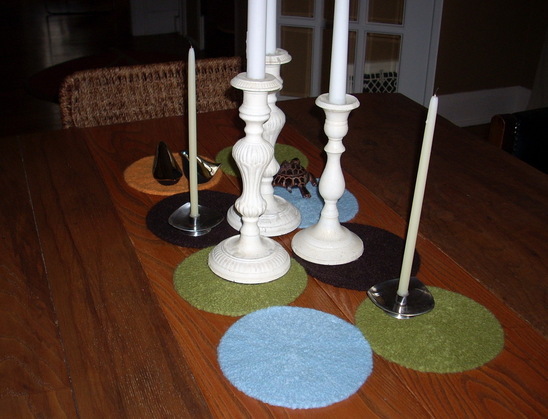 Kim finished this table runner from the Felt Forward book. 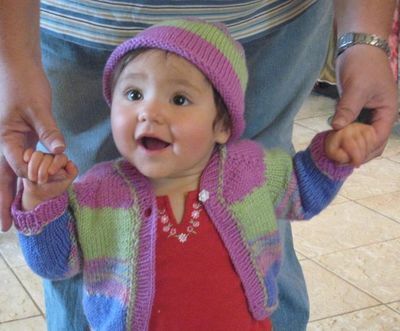 Meg made this cute Nashua sweater for her granddaughter out of Nashua cotton. 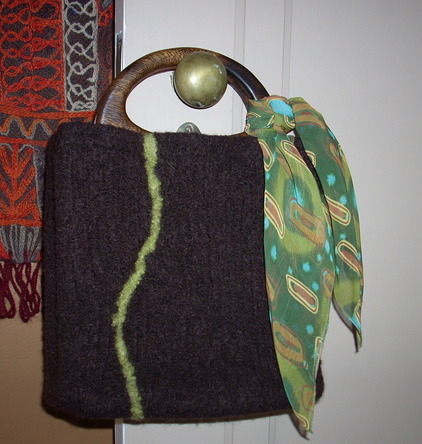 We love these purse handles; they really "make" any bag. Thanks for sharing this too, Kim! 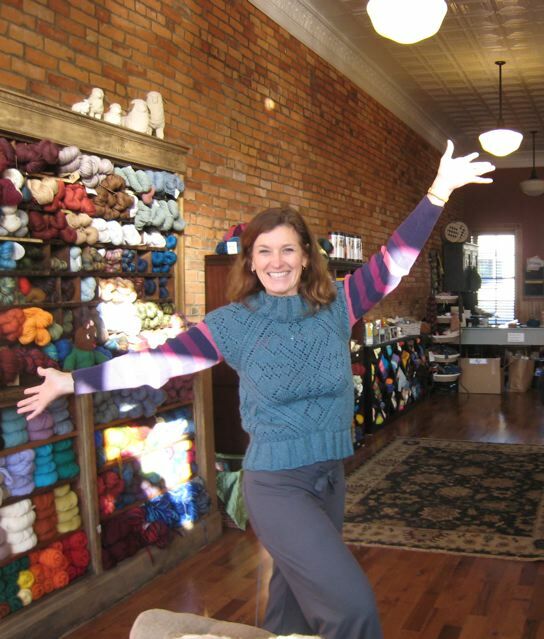 This is Mara, our shop mascot, wearing an adorable Rocketry cardigan in Cascade 220 knit by Peg Cotter. 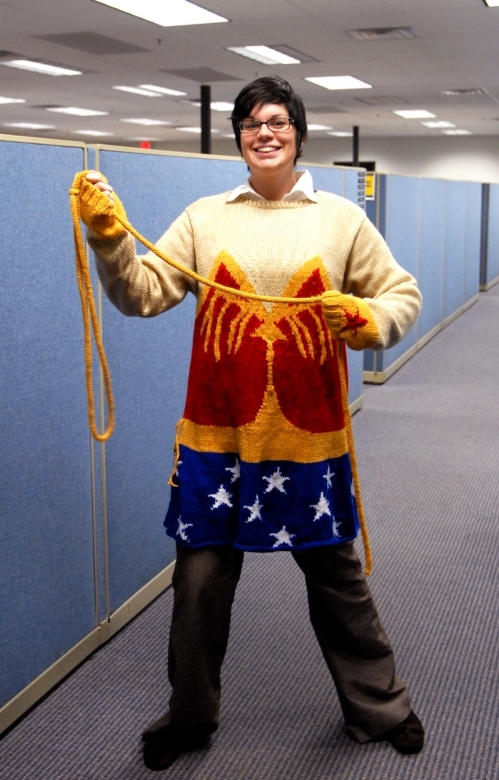 The hat is made of leftovers knit by Donna to complete the ensemble. 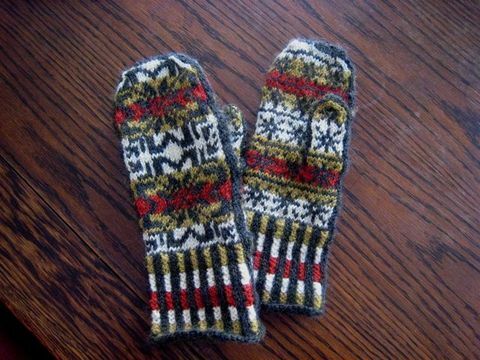 Karen Anderson completed a pair of White Witch Mittens- her first fair-isle project! 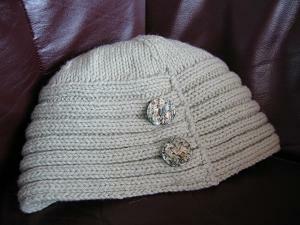 Carol knit this cute O-Wool cap using O-Wool "Classic" 100% organic wool yarn. 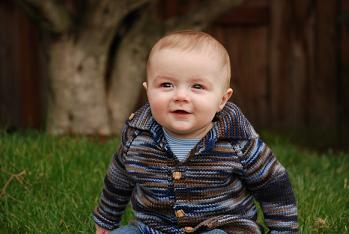 Sue Stone sent us this darling picture of a sweater she knit for her adorable grandson, Gavin, using puppy buttons and Artyarns Supermerino yarn from the shop. 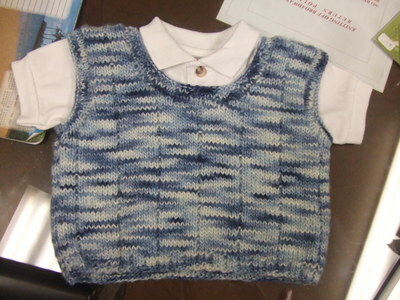 Sue knitted this "Top Down" sweater with Donna's guidance in a recent Baby Sweater class the shop offered this past winter. 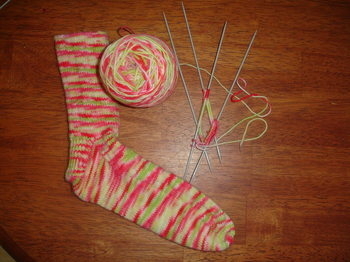 Thanks Kathy for sending us a picture of your progress with the Sunshine sock yarn! This reminds us of a watermelon! 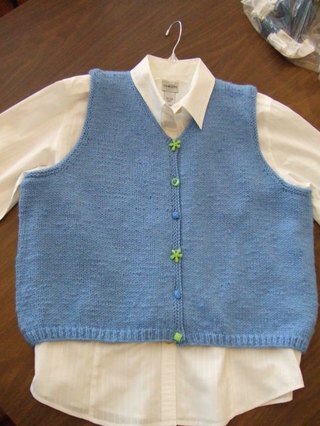 This adorable little vest was made out of Koigu "Kertsi" (the washable dk Koigu!) using a Debbie Bliss pattern.